Cultured buttermilk is super easy to make. All you do is pour ingredients together, shake or stir, and leave on the counter for 24 hours. Easy, enough said. Sorry, I have photos and explanations to help. Would you like to make your own cultured buttermilk? 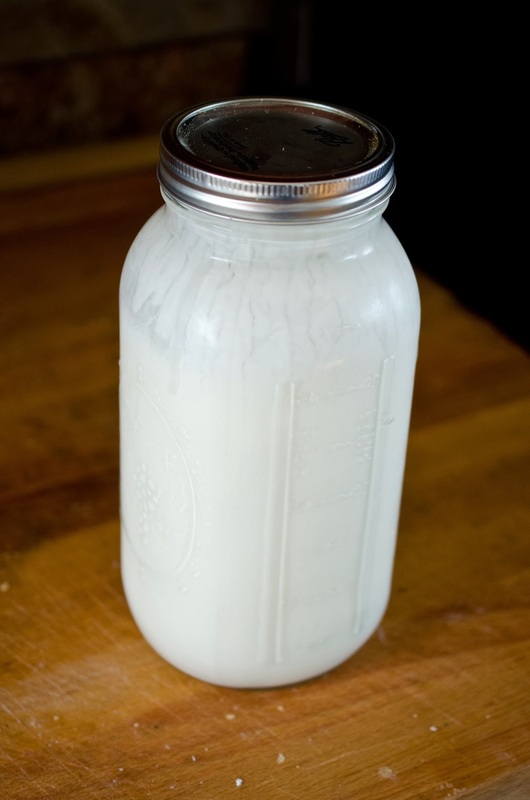 6 cups milk (your choice), 1/2 gallon mason jar or any container with a lid. cultured buttermilk. 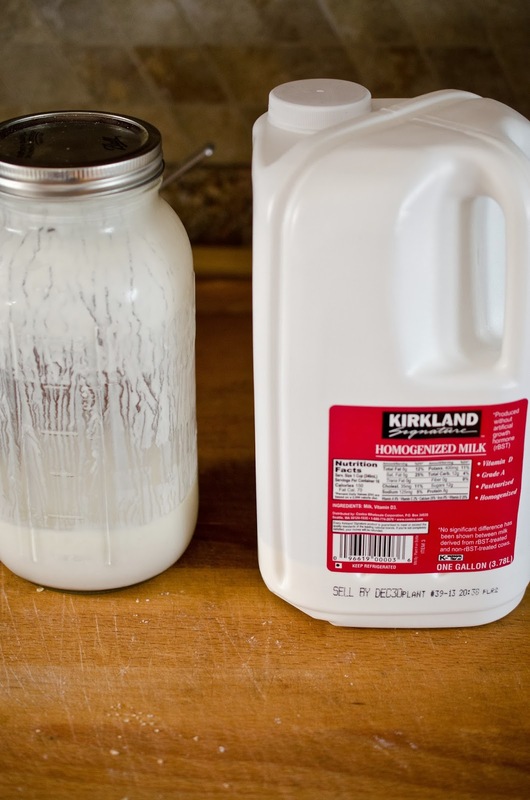 Buttermilk has a long shelf life, makes great pancakes too. 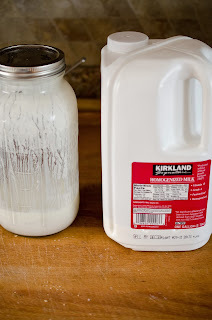 When your buttermilk is down to the last cup, repeat and add more milk.